Our cargo lashing belts are made from high tensile polyester, giving them great water resistance with low-stretch properties and good durability, they are also resistant to chemicals, oils, mould and mildew, all due to their 100% polyester materials. Cargo lashing belts are much lighter than traditional wire rope, yet still offer a reliable, versatile alternative for loading methods. Despite their lighter nature, they are still able to handle high levels of stress and pressure. In addition, due to their stretch features, cargo lashing belts avoid any sudden shock load problems, which can occur when larger loads are involved. Finally, they are flexible, suffer from minimal twisting or spinning and are not subject to rusting. 1. You must choose the cargo lashing belt and the environment that will be operating within appropriately to ensure that it is able to handle larger loads; considering factors such as its size and shape. 2. 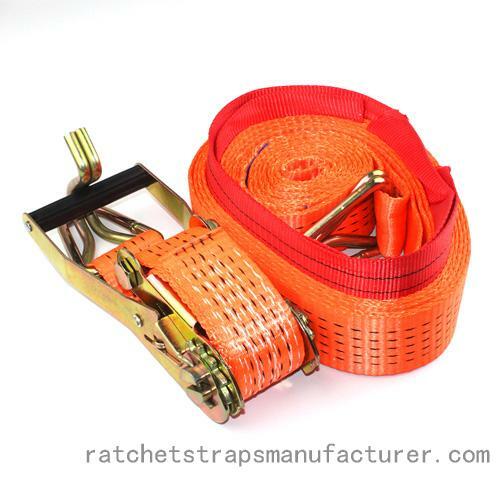 Cargo lashing belt needs a Working Load Limit equal to or greater than that weight . 3. Choose the proper length that you need. 4. Choose the hardware that will be best for your application (ratchet, hooks).